A pioneer of the Indian IT industry, Mr. Malhotra served as Chairman of Headstrong’s Board of Directors before its acquisition by Genpact in May 2011. Prior to Headstrong he was Chief Executive Officer and Chairman of TechSpan, which merged with Headstrong in October 2003. Mr. Malhotra has a long string of entrepreneurial successes. He co-founded the HCL group in 1975, taking it from a six-person “garage operation” to one of India’s largest Information Technology corporations. The first leading Indian entrepreneur to relocate to the USA, Mr Malhotra took over HCL’s US operation in 1989 and grew it to nearly $100 million in annual revenues. In 1992 he ran the HCL-HP joint venture in India, and in 1996 he set up and ran the joint venture with Deluxe Corporation. He consolidated and grew HCL operations in Hong Kong, Australia, and New Zealand. Mr. Malhotra is on the Board of Governors of ISB, Hyderabad, RGIIM Shillong, IIM Udaipur, ABV IIITM Gwalior, and IIT (Kharagpur) Foundation. He is a past Co-Chair of the Global Pan-IIT Alumni Association. He is Fellow of IETE; A Member of Institute of Engineers, India. He is also a Member of IPSS and is on the Board of Governors of The Doon School. A Life Fellow of IIT Kharagpur, he has been awarded Doctor of Science (Honoris Causa) in September 2012. Punjab Technical University conferred an Honorary PhD on him in 2013. He is a Charter Member of TiE, having previously served as the Chairman of the Board. Mr. Malhotra studied at The Doon School, Dehradun, graduated from IIT Kharagpur with B.Tech. (Hons.) in Electronics & Electrical Communication Engineering and received the Dr. B.C. Roy Gold Medal. In 1985, he attended the Advanced Management Program at Harvard Business School. He was awarded the Albert Einstein Technology Medal for 2001. 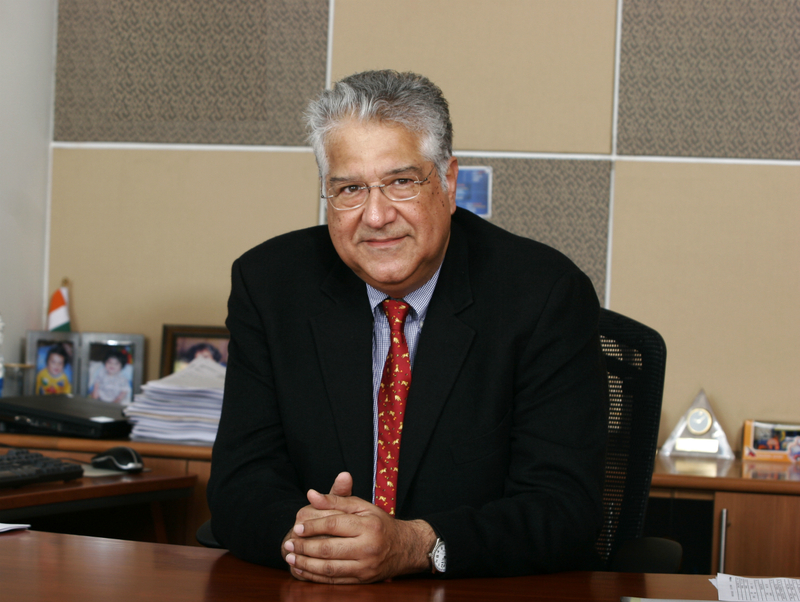 The Institution of Engineers (India) has named Mr. Malhotra an Eminent Engineering Personality. He is presently an Advisor in a number of start-ups in Education and healthcare space.